DAVID LE/Staff photo. 2/25/15. 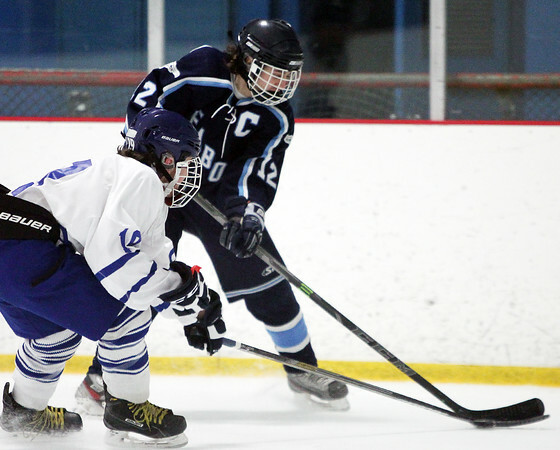 Peabody senior captain Erik D'Orlando (12) tries to make a centering pass while being closely defended by Danvers sophomore defenseman Nolan Shaw (19).